Plumbing Buford- and also Greater Atlanta Georgia. We cover Buford and ALL surrounding areas, We are your go-to plumber in Buford, Georgia. For many years Royal Flush Plumbing has been honored to be the top plumber in Buford, GA. Our plumbers love looking out over Lake Lanier from Buford Dam Road and spending their holidays on the lake with their families. They especially love the yearly Harvest Balloon Festival at Sterling on the Lake as well as the Lanier Under the Lights 5k. One of our favorite customers in Buford is the Mall of Georgia, where we have been the #1 plumber for countless stores over the years. 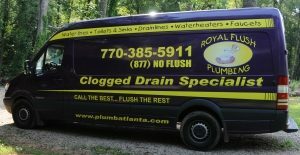 When it comes to residential plumbing, commercial plumbing, or general plumbing, Royal Flush Plumbing is the best plumber in Buford, GA. For a better idea of what we are all about, please check out our Mission Statement. Please enjoy your time here on our website and remember to always surf safely.